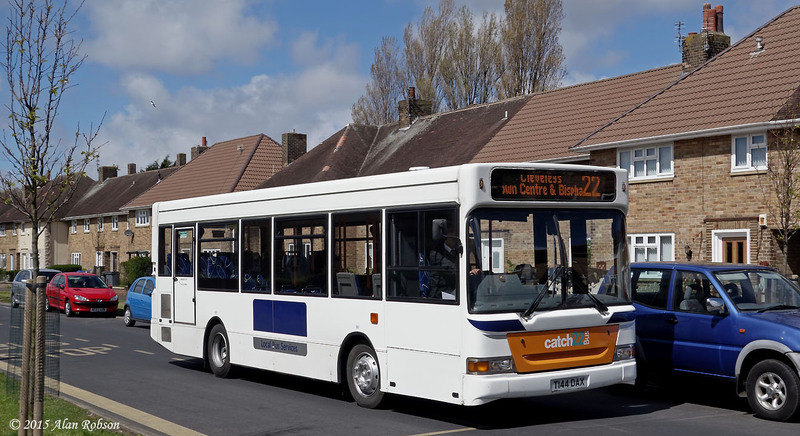 Former Cardiff Bus Dennis Dart T144 DAX entered passenger service with Catch22Bus this week. 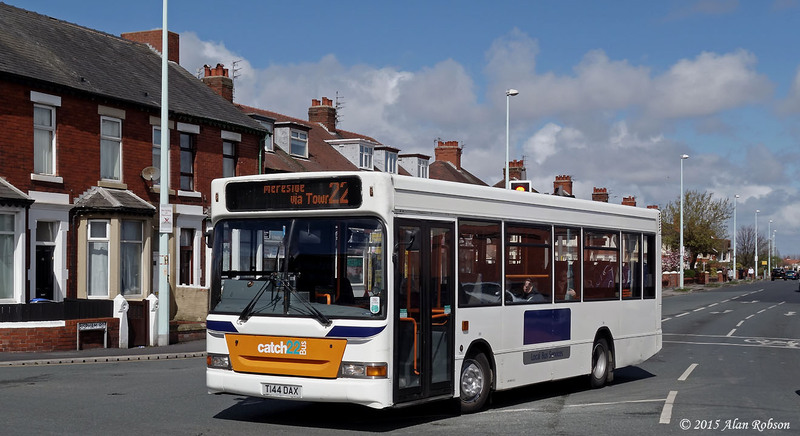 The vehicle was latterly owned by Select Bus of Swansea, and has entered service on route 22 in this operator's white with blue relief livery. 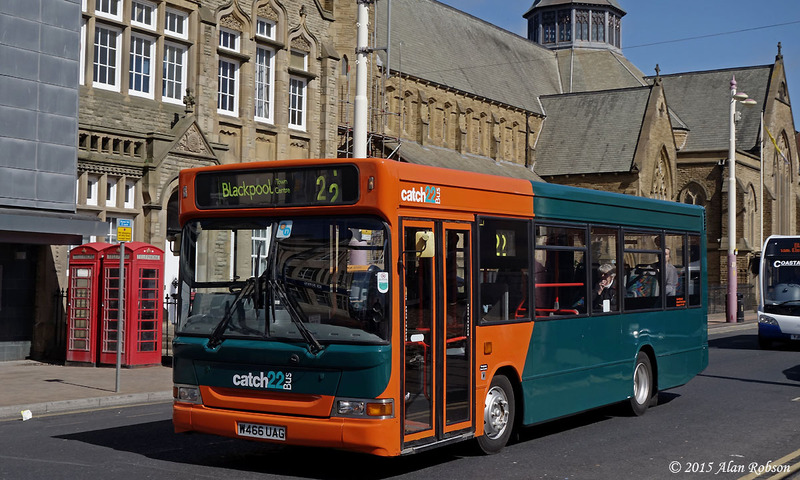 Earlier in April, former Whittle Dennis Dart W466 UAG entered service, freshly repainted in the Catch22Bus turquoise and orange fleet livery. 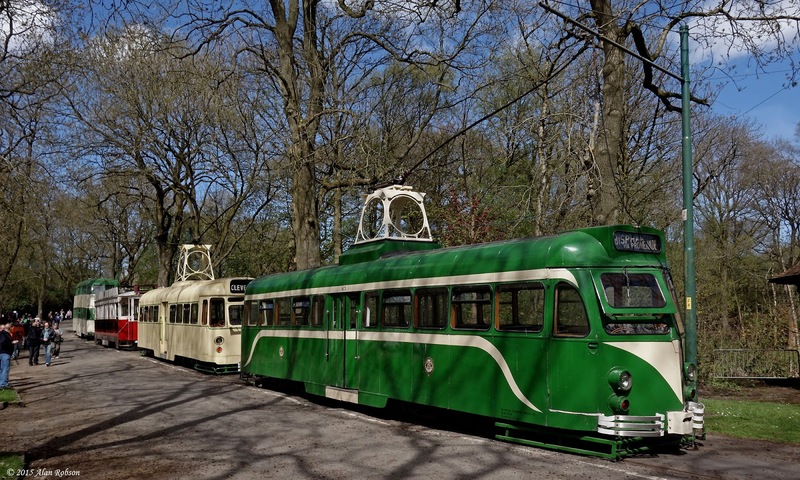 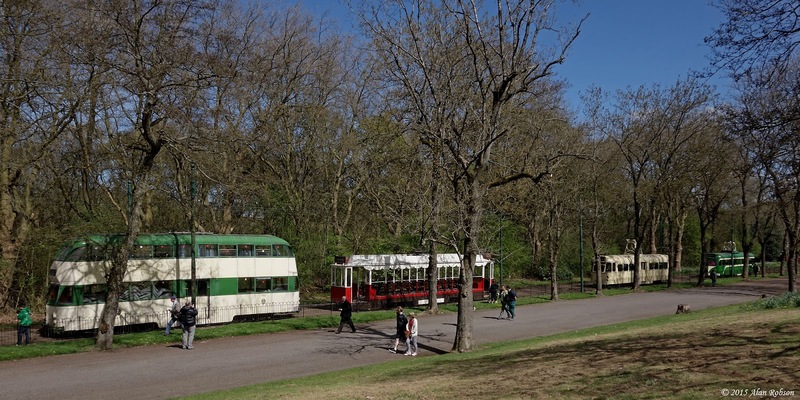 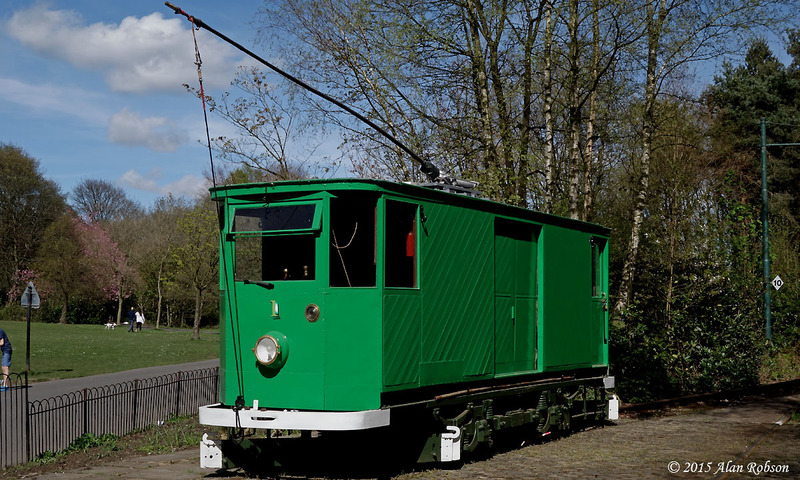 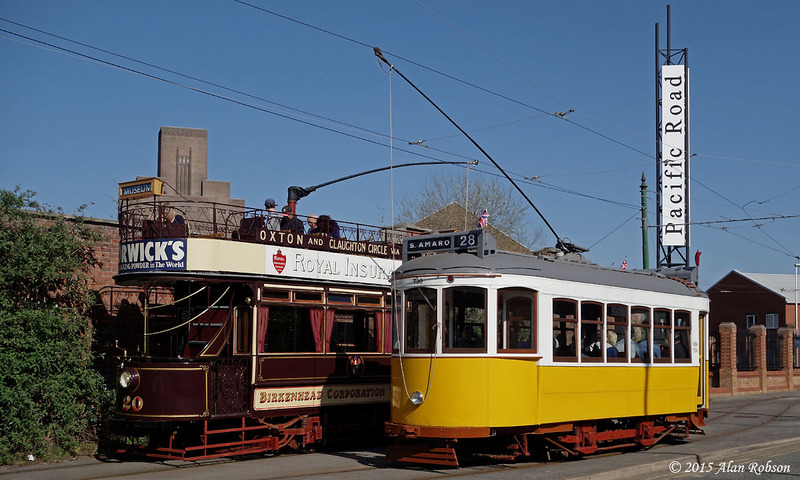 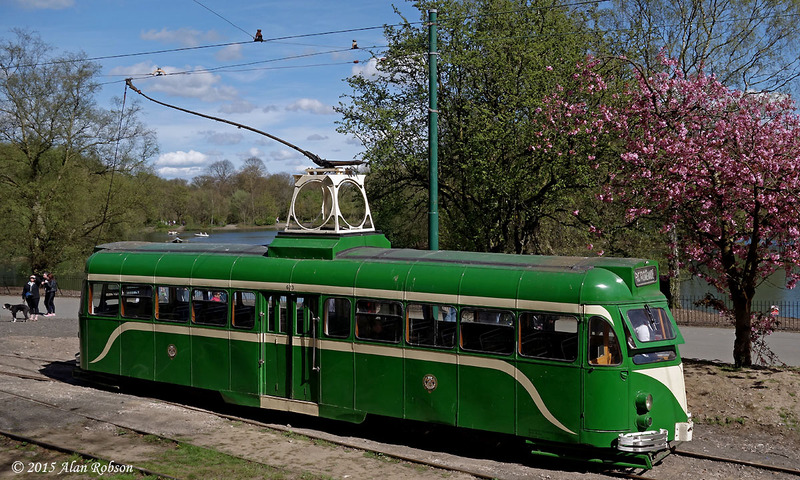 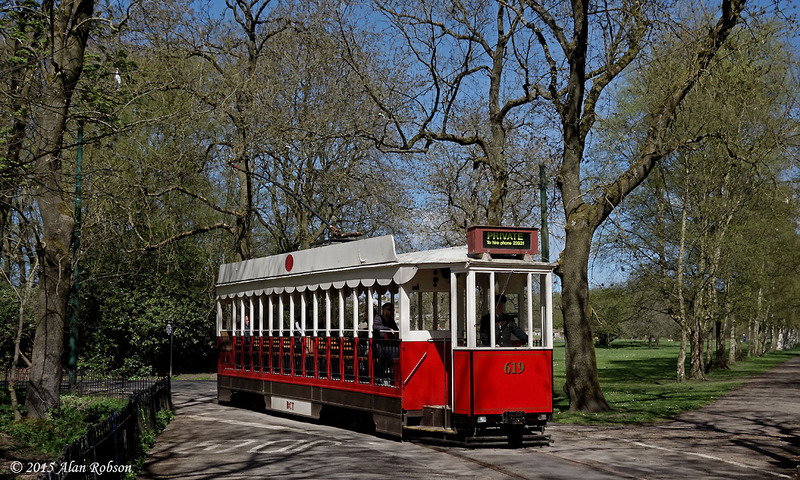 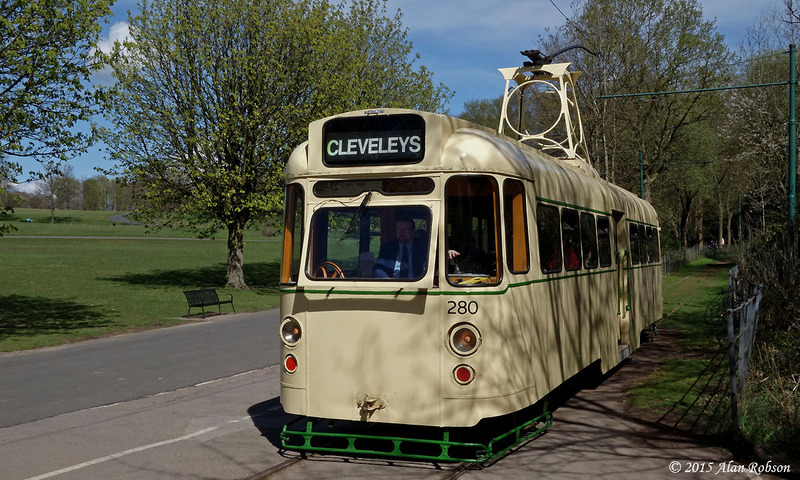 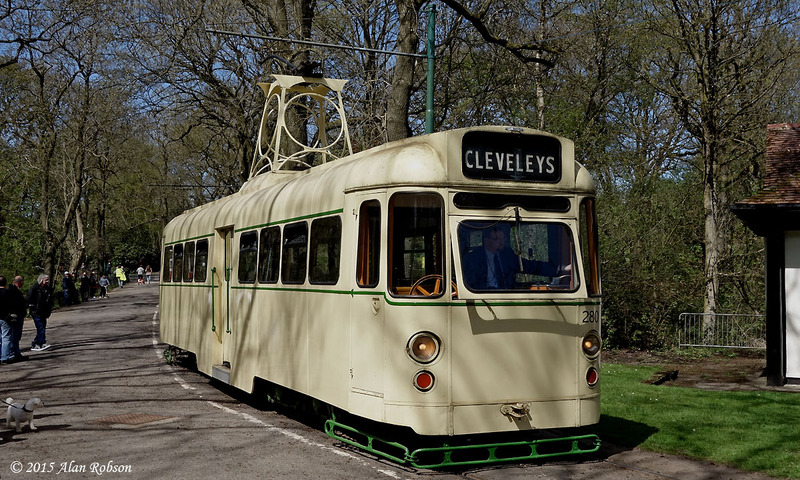 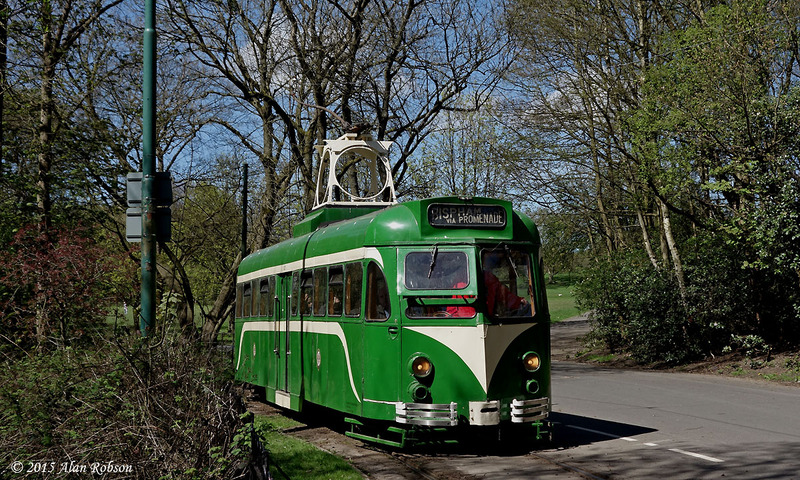 The Heaton Park Tramway in Manchester hosted a Blackpool themed event on Sunday 26th April. 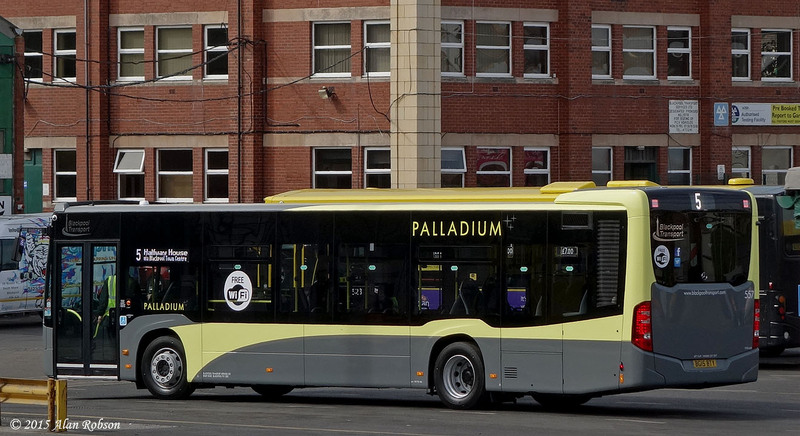 The reason for the occasion was the official inauguration of Blackpool Railcoach 280 (680) into the operational passenger fleet. 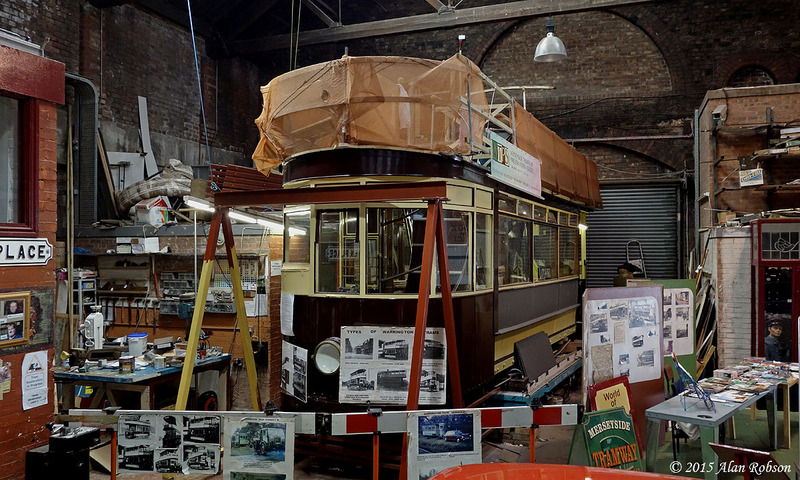 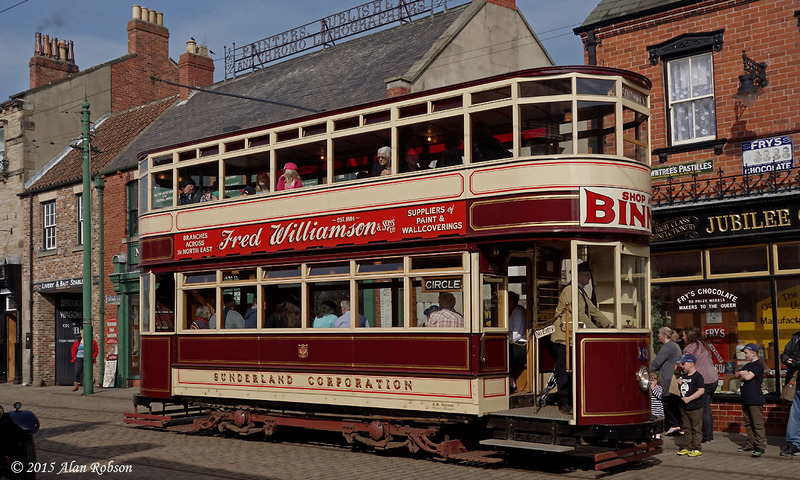 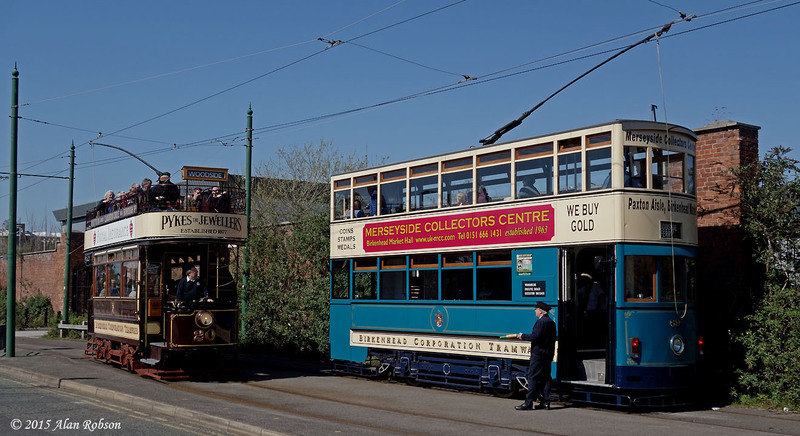 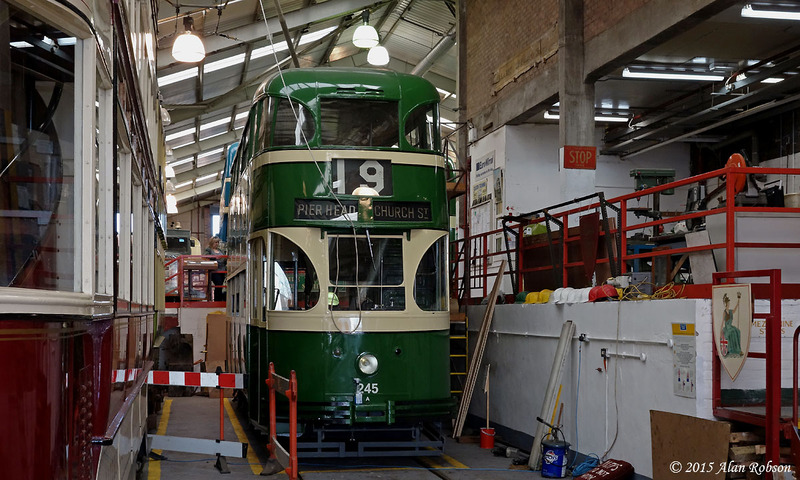 All the Blackpool trams were brought out for the public to view, with Balloon 702 being displayed in front of the Middleton Road depot and Railgrinder 1 parked on the spur siding at the former Lakeside terminus. 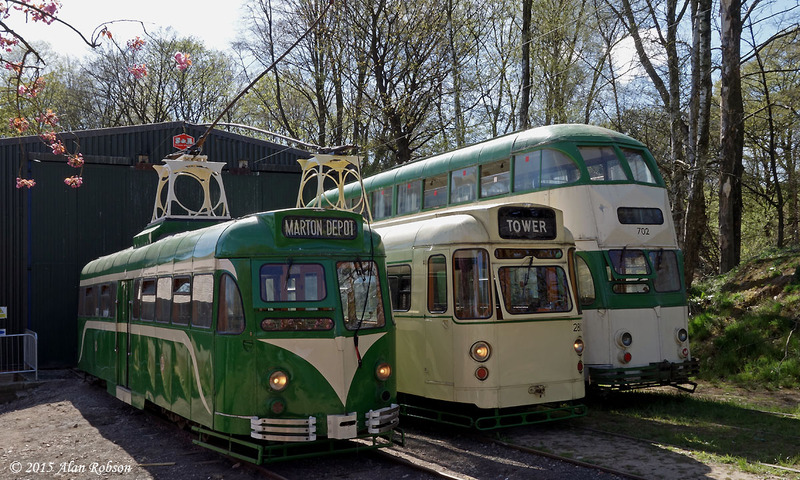 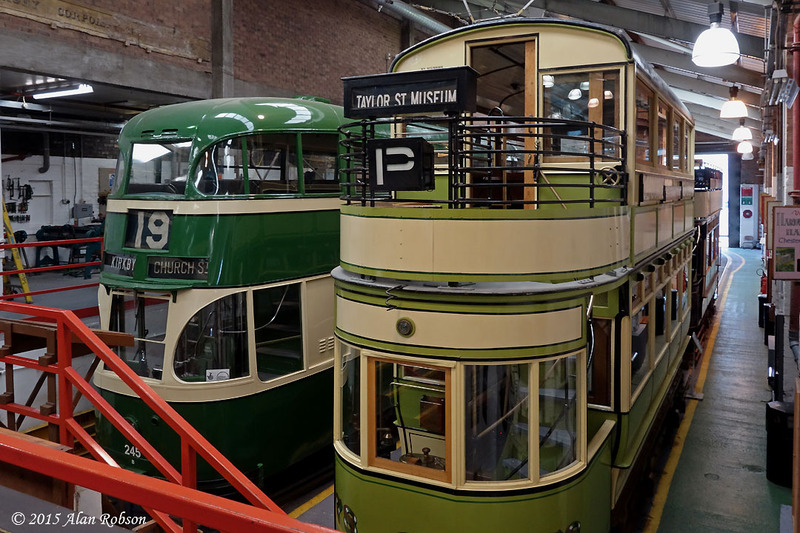 Around lunchtime a cavalcade of the four Blackpool passenger trams, 702, 619, 280 and 623 ran from the Middleton Road gates to the hill behind the museum building where they were parked for a photo opportunity. 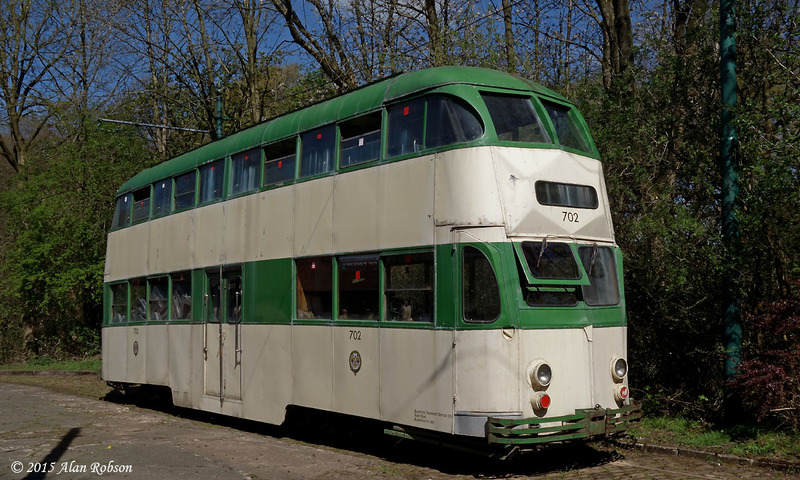 Later in the afternoon 702, 280 and 623 were lined up in front of the Lakeside depot for another photo call. 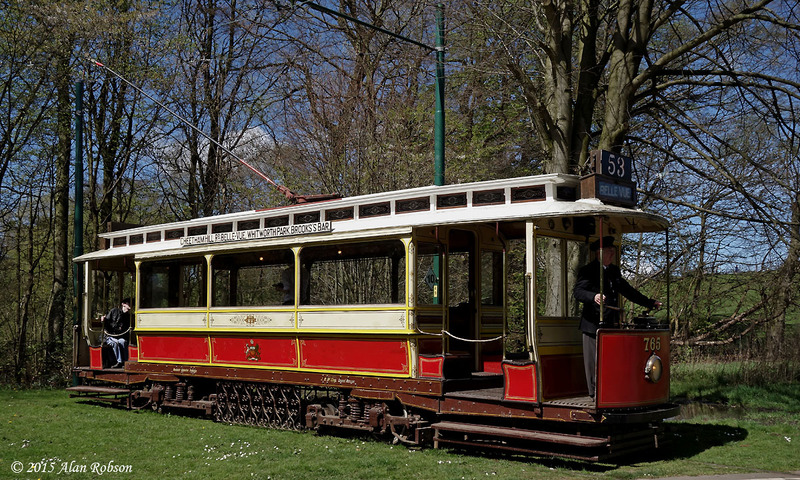 Trams used in passenger service at various times during the day were 619, 623, 280 and Manchester 765. 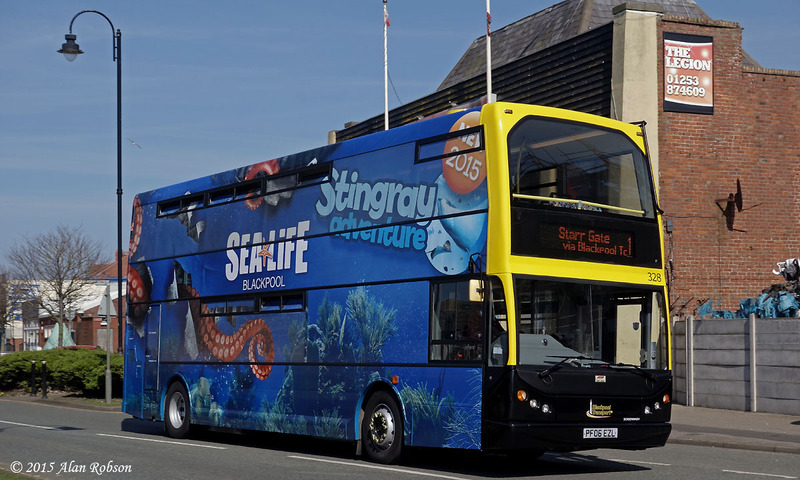 Blackpool Transport have given Dennis Trident 328 a new vinyl wrap advert for Sealife Blackpool. 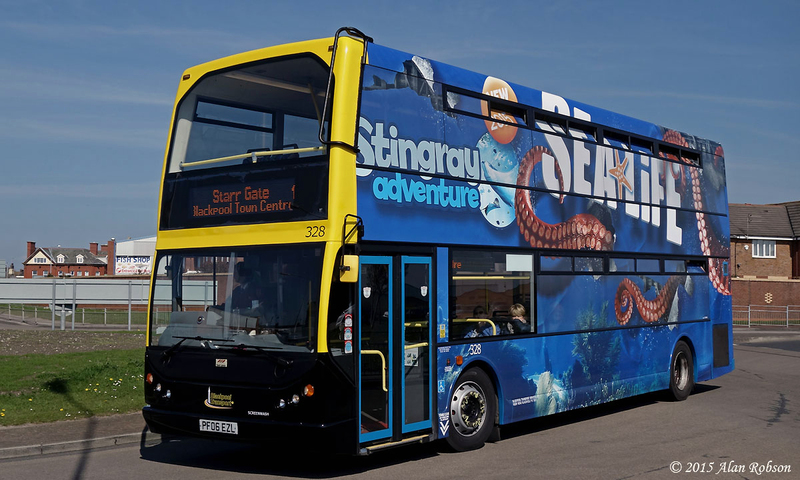 The previous Sealife overall advert was applied to Trident 314 in 2012, and prior to that the Sealife advert was carried by flat-fronted Balloon 709. 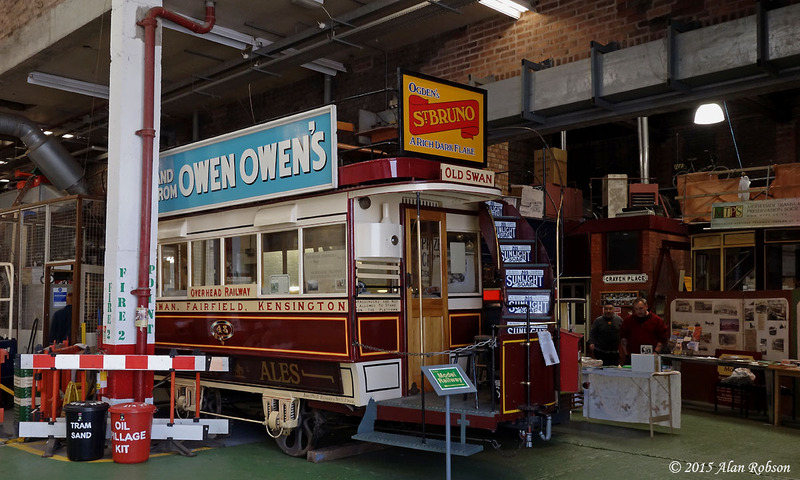 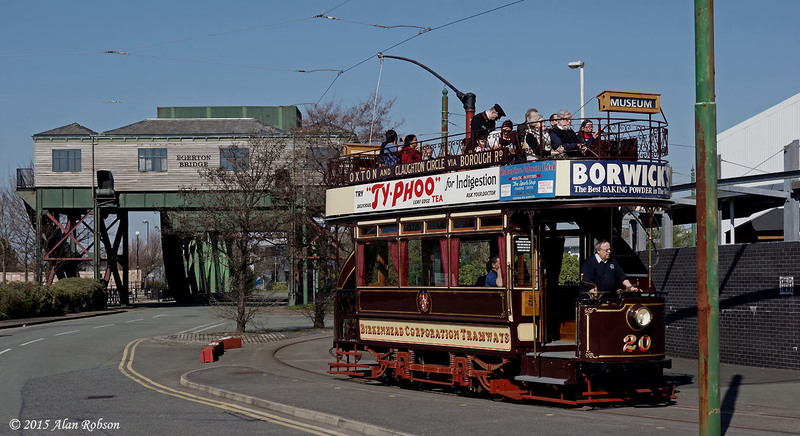 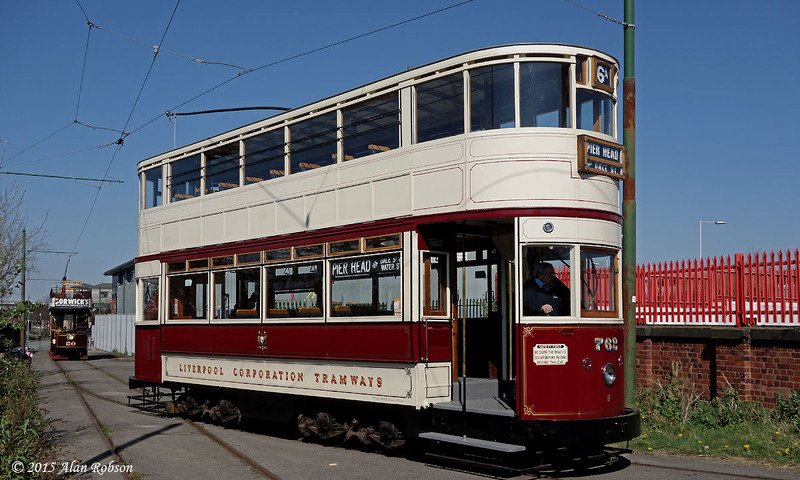 The Wirral Tramway celebrated 20 years of operation during the past week. 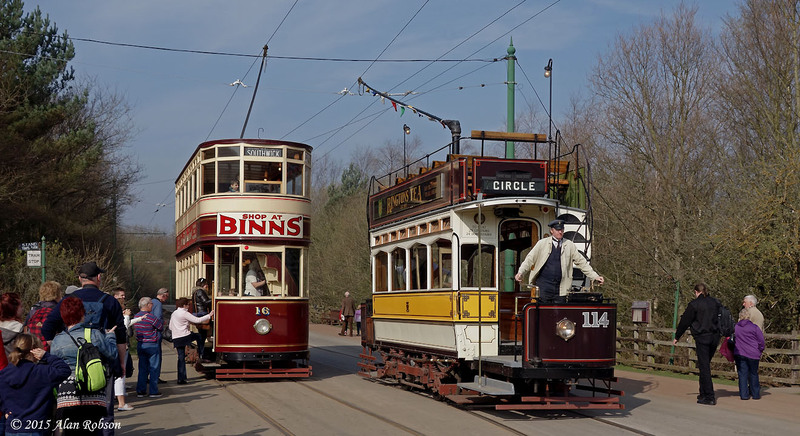 The anniversary was commemorated on Saturday 18th April, with the normal two tram service being enhanced by the swapping of trams, so that a total of four of the operational tram fleet were in use at some point during the afternoon. 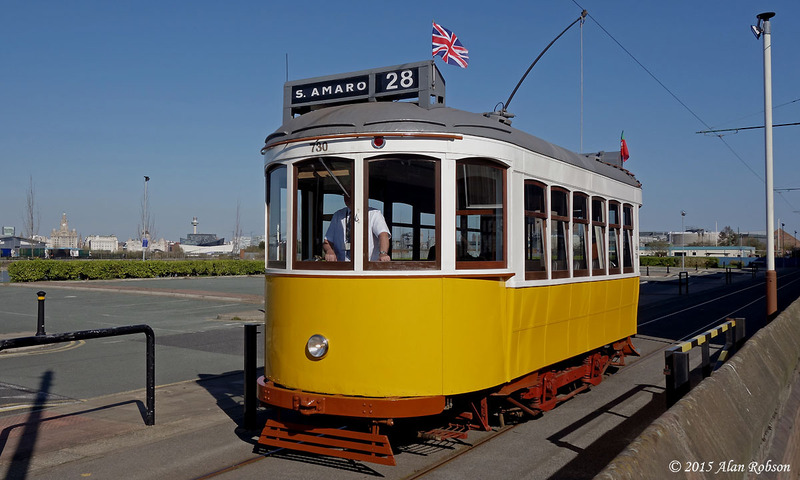 Hong Kong built tram 70 was brought out and stabled on the spur track at the Taylor Street end of the line.The trams that operated in passenger service were Hong Kong built 69, Liverpool 762, Birkenhead open-top tram 20 and Lisbon 730. 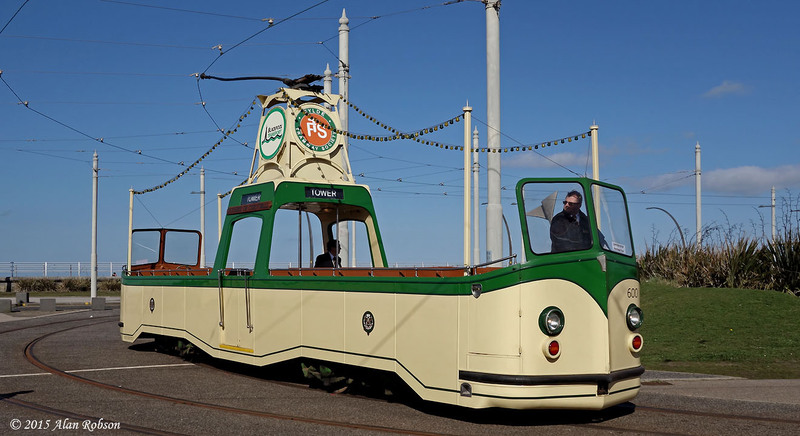 All this talk of lovely warm weather that the country has been basking in for the last couple of weeks has been rather lost on people who happen to live on the Fylde Coast. 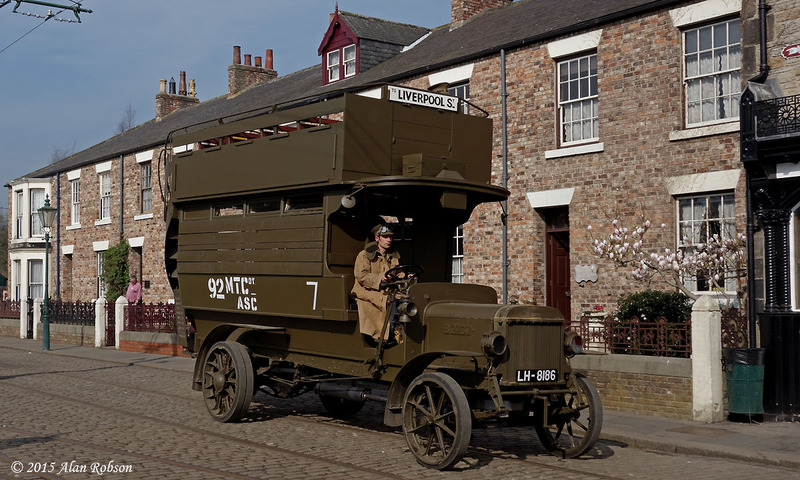 The conditions have been unremarkably gloomy and cool on the Lancashire coastline of late, with no sign at all of the alleged "heatwave" that the rest of the country has supposedly been basking in. 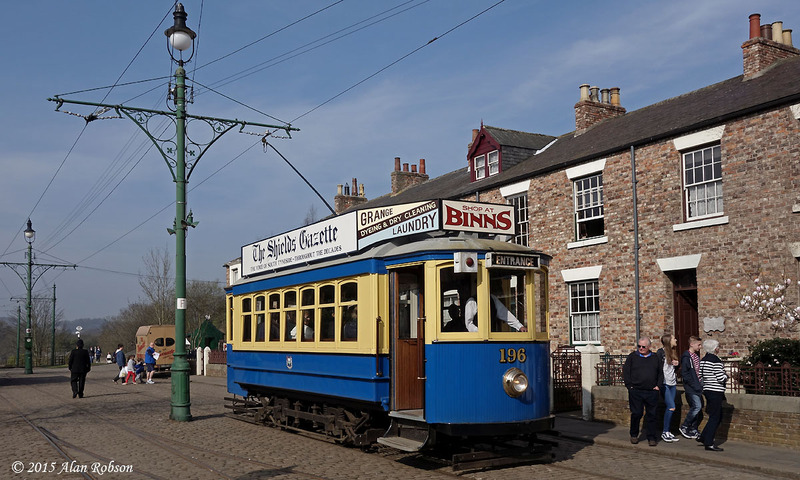 Saturday 18th April however managed to give us clear blue skies all day long, although it was rather cool due to the easterly wind. 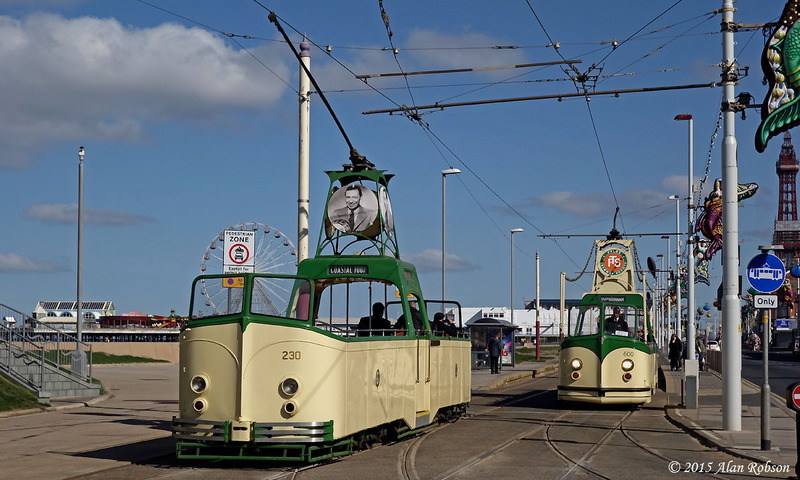 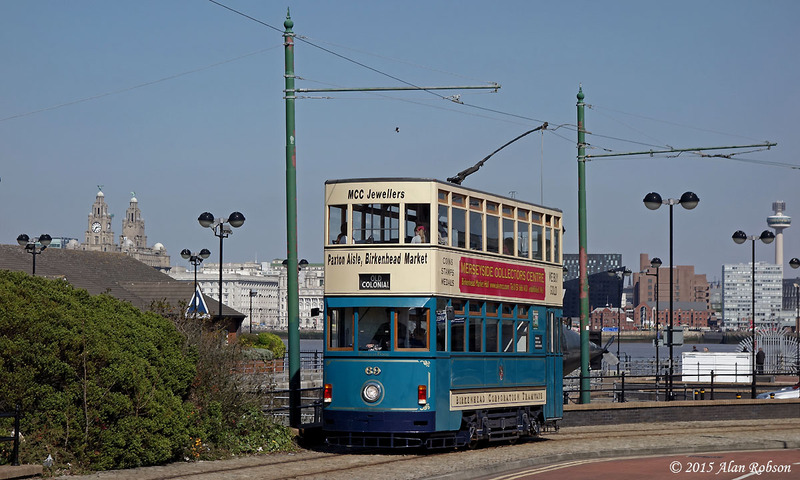 The sunny weather was the perfect opportunity to allocate Boat trams for use on the blue timetabled Heritage Tour service, and proper green and cream liveried Boats 230 and 600 shuttled backwards and forwards all day between the North Pier and the Pleasure Beach. 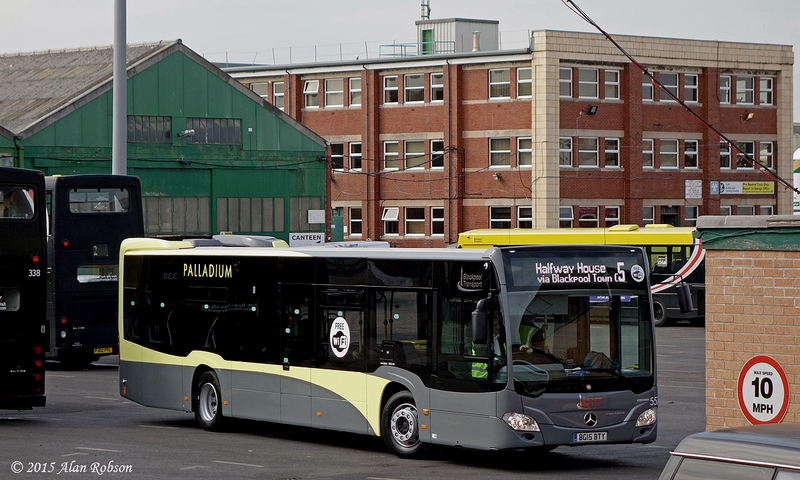 Blackpool Transport had a staff launch of their new Mercedes Citaro Euro VI buses yesterday. 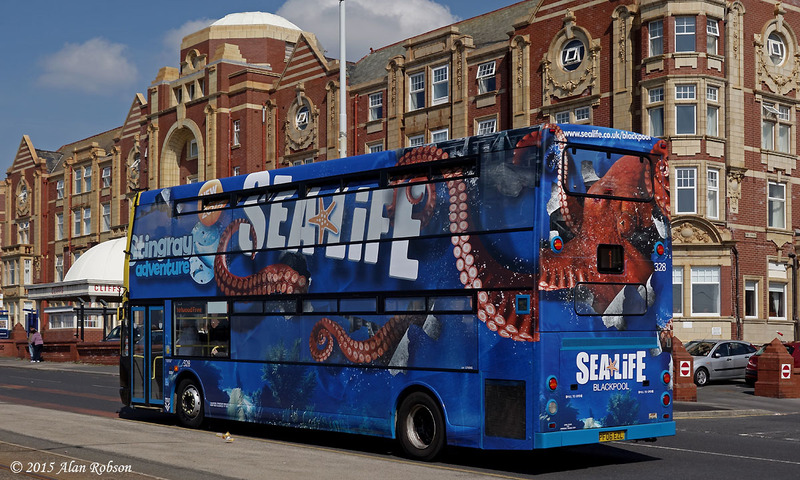 There are 10 buses in the batch, and all are now believed to have been delivered to BTS. 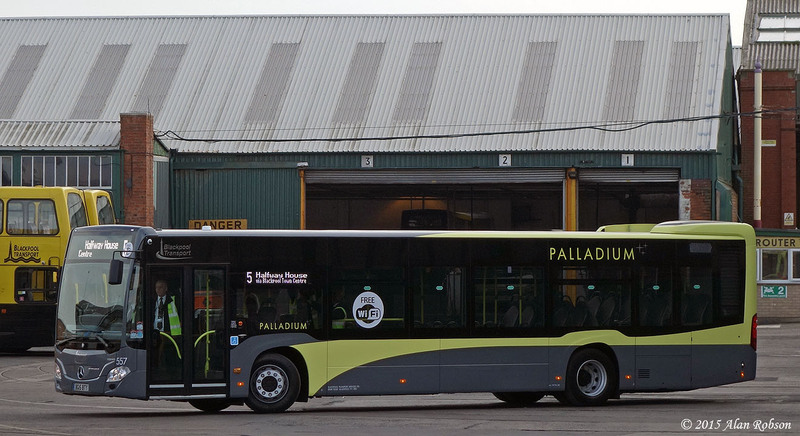 The buses used for the launch ceremony were 556 (BJ15 BEU) and 557 (BG15 BTY), both buses are in a grey and pale yellow livery, with full branding including free Wi-Fi logos and the brand name "Palladium" in three positions. 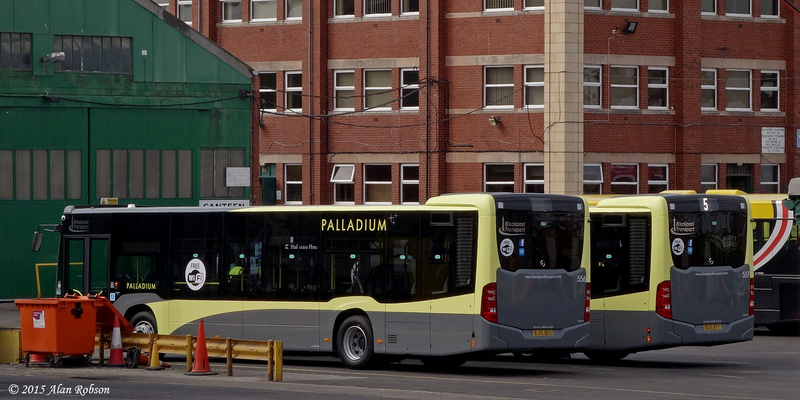 The new buses are going to be used on service 5 from Victoria Hospital to Halfway House via Blackpool Town Centre, and will be receiving a public launch in May. 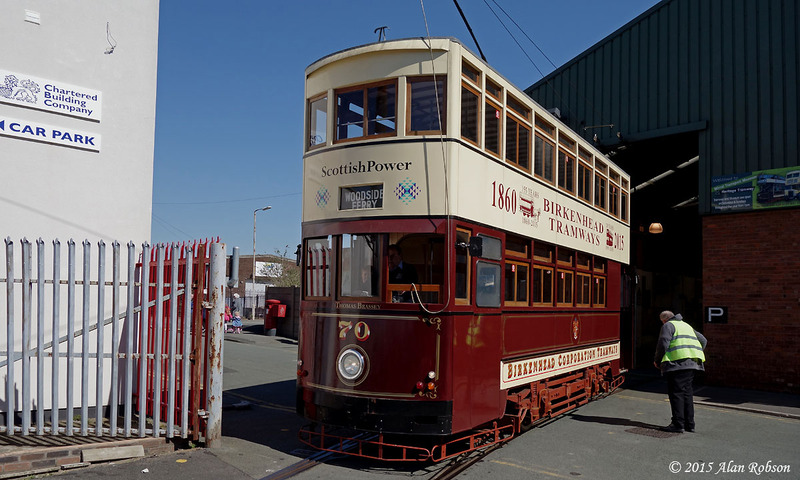 These exclusive photos of the two staff launch buses were captured at Rigby Road depot this afternoon. 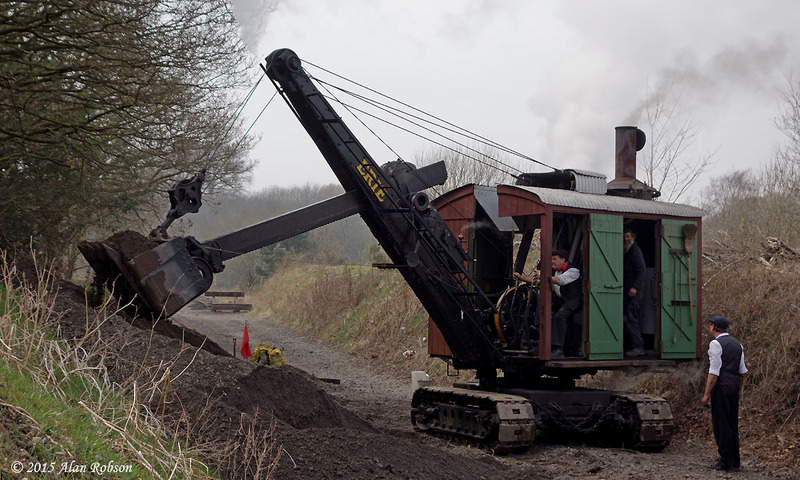 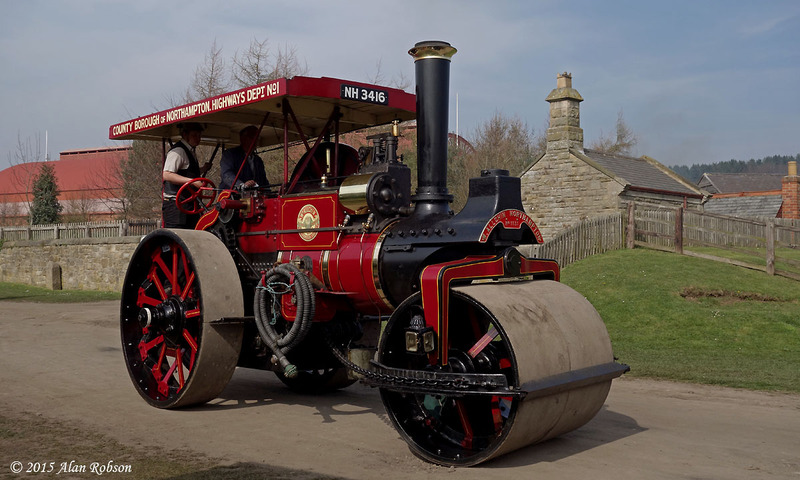 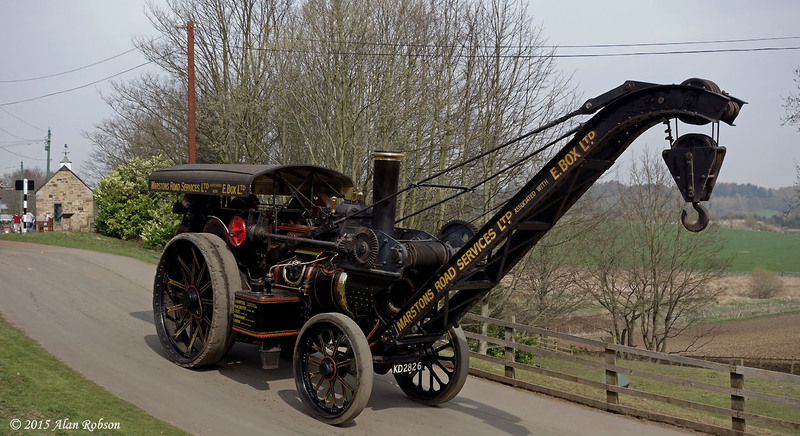 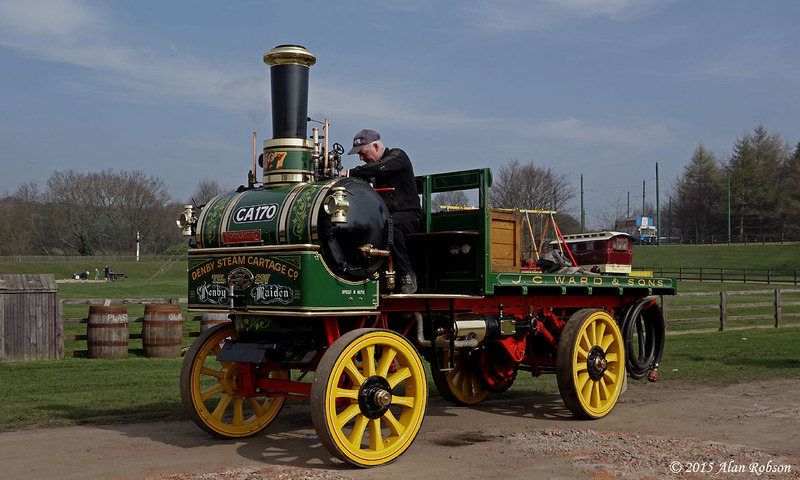 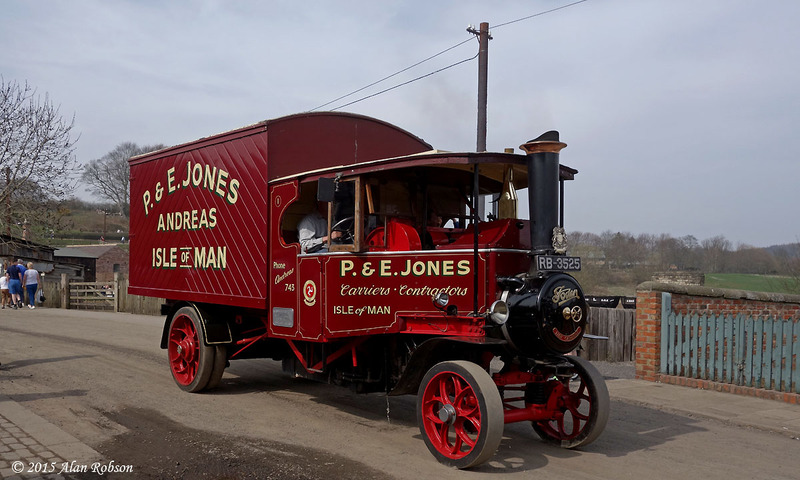 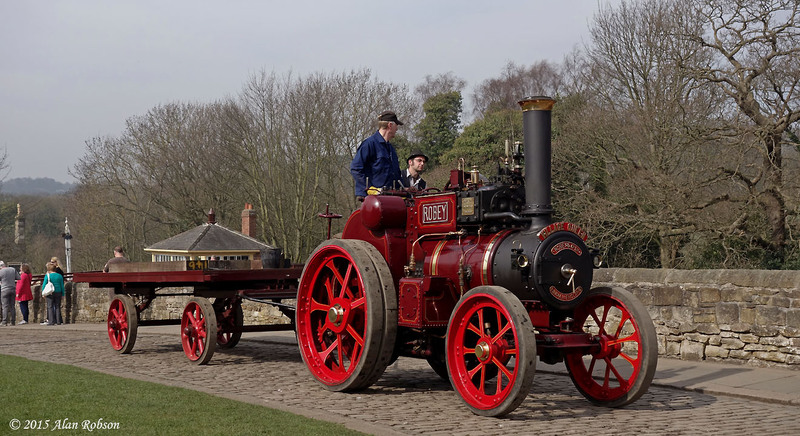 The 2015 Great North Steam Fair at Beamish took place for four days from Thursday 9th to Sunday 12th April. 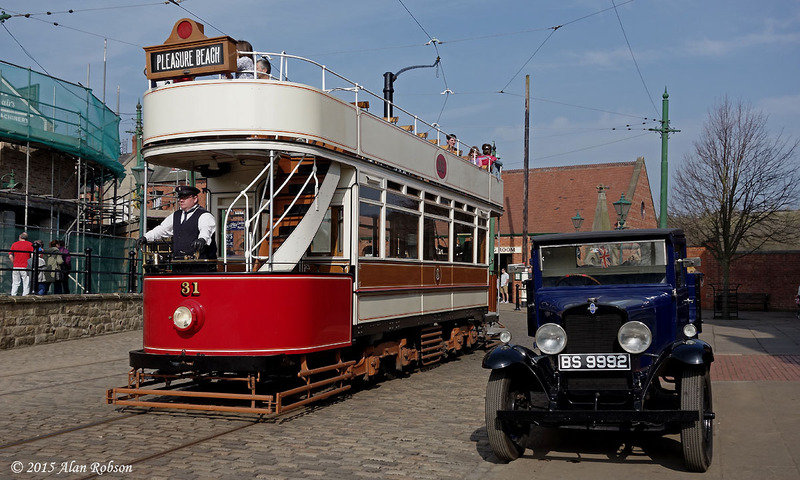 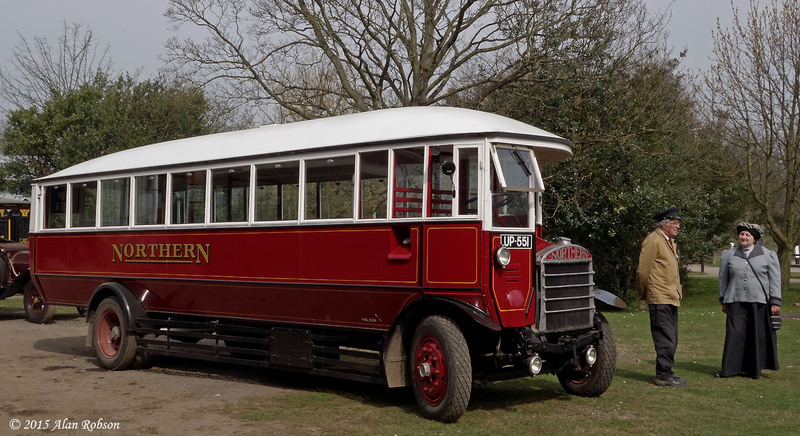 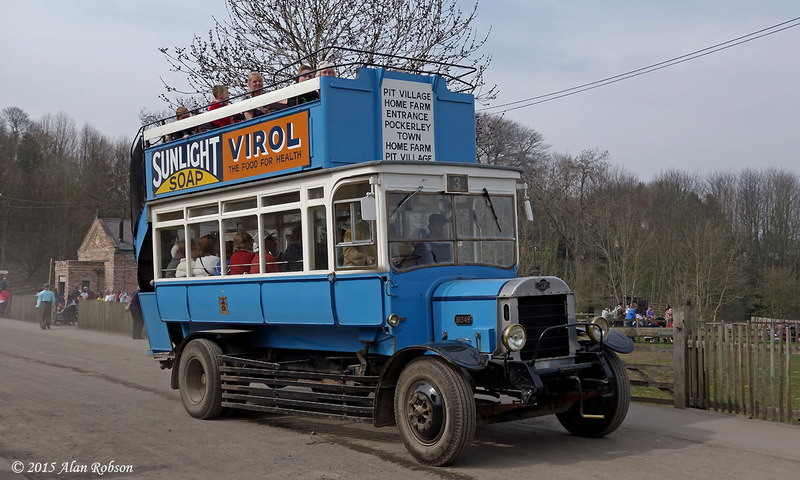 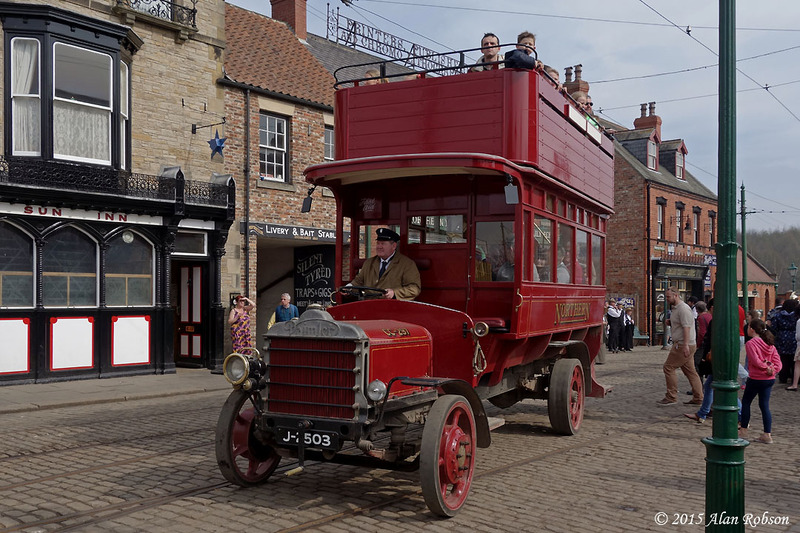 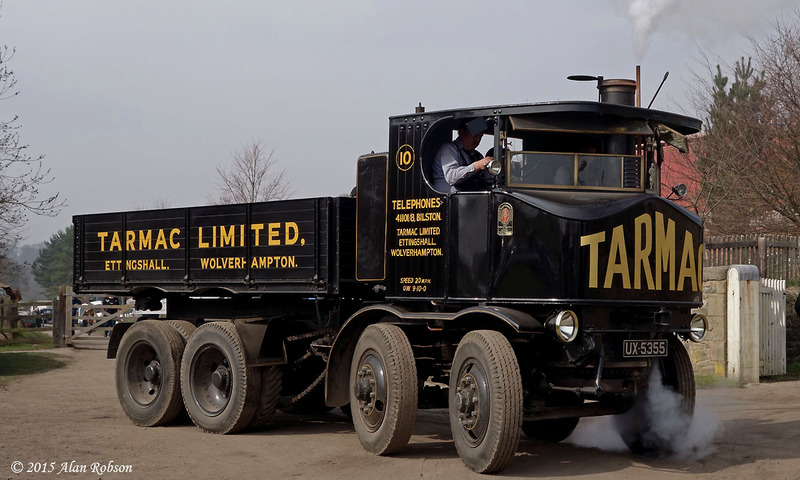 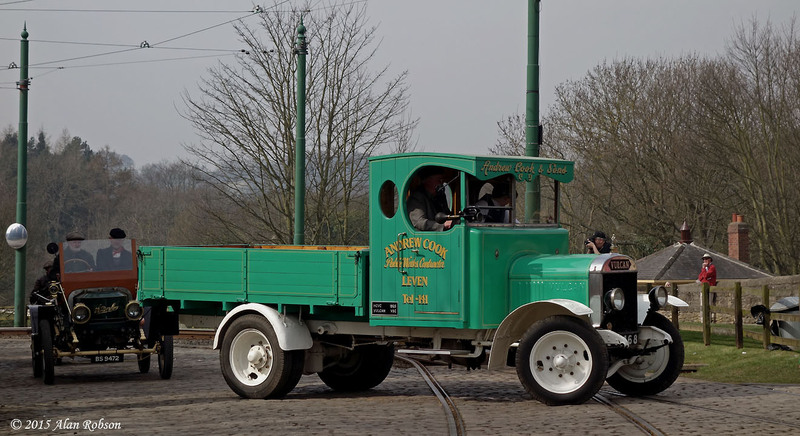 This event is one of the highlights of the year at The Living Museum of the North, and this year was no exception with a wide range of road and rail vehicles visiting over the fours days. 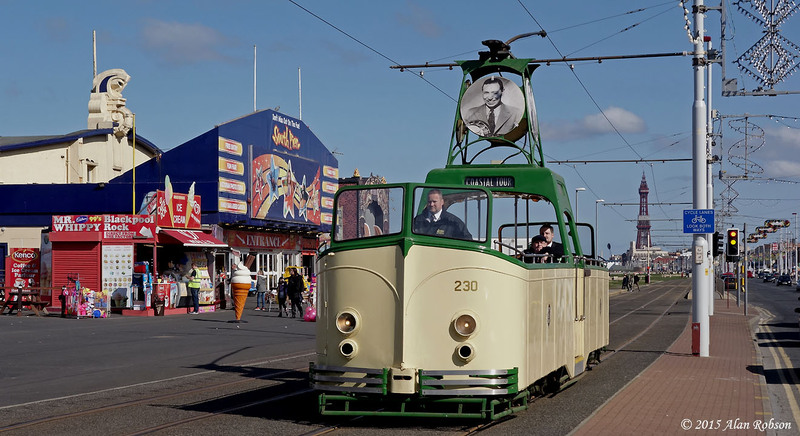 The fair was blessed with bright and sunny weather, apart from the very last day which turned out to be wet. 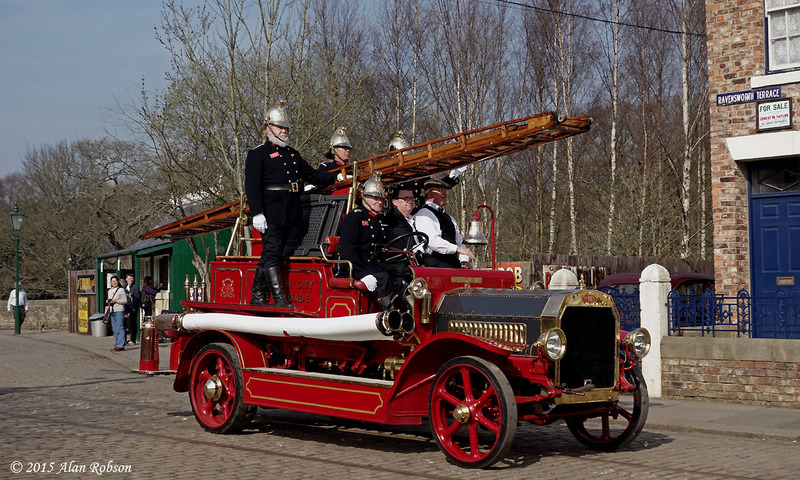 All the photos used in this report were taken during a visit to the event on Friday 10th April.